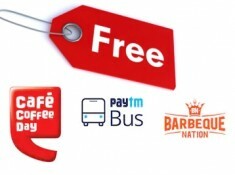 Paytm Running Cashback Offer on Bus Tickets, They Are giving Flat 100% Cashabck On First Bus Booking Upto Rs.200. Use Coupon Code: FIRSTBUS For Get Free Ride. Book Now!! !